A group of chronic pain patients, advocates and family members picketed health officials in Oregon this week to protest a proposal by the Oregon Health Authority to severely limit chronic pain patients’ access to opioids through the Oregon Health Plan. A group of advocates gathered to try and bring attention to the issue. The issue received considerable media attention in Portland. The Oregon Health Evidence Review Commission (HERC) and its subcommittee Value-based Benefits Subcommittee (VbBS)will be submitting their proposed changes to Medicaid to discontinue long term opioids for chronic pain and fibromyalgia. 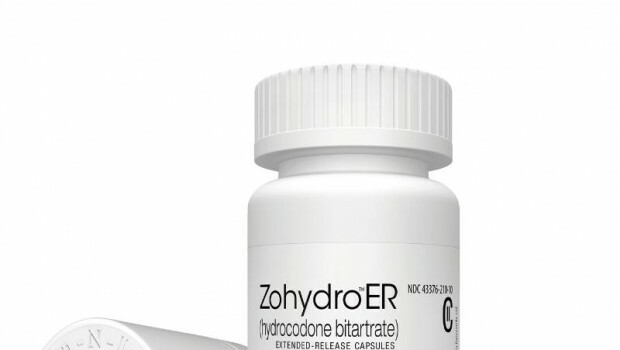 The changes include a forced taper for all chronic pain patients on opioids (within a year), no exceptions. Opioids will be replaced with alternative treatments (cognitive behavior therapy (CBT), acupuncture, mindfulness, pain acceptance, aqua therapy, chiropractic adjustments, and treatment with non-opioid medications, such as NSAIDS, Acetaminophen). According to one of the organizers of the event, who wishes to be identified only by “Amara”, the lack of transparency by the VsBC has made it difficult to track exactly how the new guidelines are being developed and called on Oregon state health officials to insert more transparency into the process. She did acknowledge that adding alternatives like aqua therapy, mindfulness and acupuncture are good additions, because chronic pain patients need to have more “covered” treatment. But the forced taper of opioids, she believes, hurts the intractable chronic pain patient needlessly. If you want to add your voice to the process, you can and you don’t have to live in Oregon to do it. 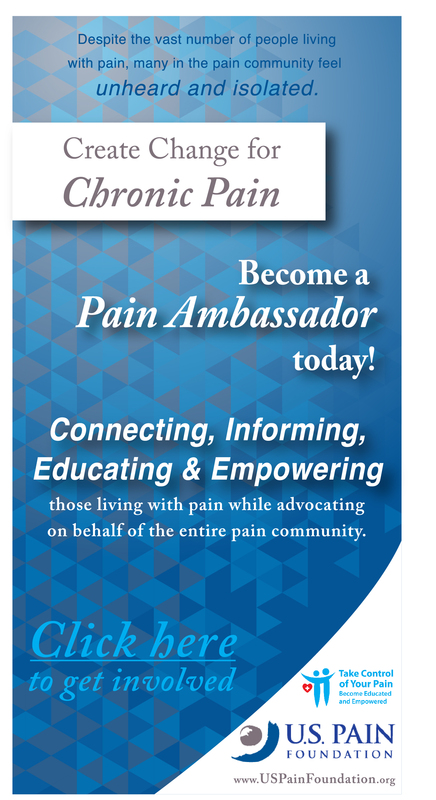 Here’s what the Oregon Pain Action Group—a patient advocacy organization—says you can do. In particular, they hope the voices of patient, doctors, caregivers, specialists and other will be added by the end of July. An August 8th meeting of VbBS and then a meeting of HERC the same day will consider the comments that the public sends in beforehand. In addition , those attending the meeting are expected to be able to testify. While this policy is aimed at the Medicaid population, organizers believe that whatever policy is adopted will be adopted by every insurance company. Comments are limited to 1000 words. You should put VsBS in the subject line of the email for your comment to be read and submitted. Include your conditions and the date they started. Keep it simple, just the diagnoses. Include if you are currently on long term opioids, do explain how they improve your daily life and functions. An example would be that before your opioid therapy, you were unable to work or care for your family, but now that you are on the opioid therapy, you are able to do those things. List any alternative treatments that you’ve tried in the past and how they worked for you. State how policy changes will affect you. What will your life be like and how will it not only affect you, but your family, friends, neighbors. If you submit your comments, share what you told the Oregon officials in our commentary section. I saw my doctor today and he recieved a letter that I am to be tapered off my pain medication after 20 years, starting today. I am almost 60 years old on disability and have had several back surgeries. I started crying in his office I was so shocked. I hope is something we can do about this. I do not want to live my remaining years in pain. Mindfulness and acupuncture: that is totally nuts! What am I to do? What are we all to do? I’m frightened. our rights as human beings are being taken away. They are treaating us as garbage, and then making it okay to commit suicide with how much pain we are in. what in the hell is wrong with these people. Why are the news crews not doing stories on all our stories, what its doing to us, our families, the Drs. I cannot wrap my head around how they think tjey jave the right, to make someone suffer, and they are okay with it. They are torturing people, and it needs to stop. We all meed to find an attorney willing to fight for the people and families who are getting tortured. How many have to die. While it’s too late to reply to the HERC all I can say is seriously they’re going to take away medicine from people who are in chronic pain and replace it with placebos like “Mindfulness” and acupuncture! What’s up next snake oil and witch doctors! They really need to get some type of scientists and medical doctors involved in these decisions! So if you’re wondering about the viability of this new age pseudo medicine they’re proposing the tax payers support read a few articles on the subject from SCIENCE BASED MEDICINE! https://integrative-medicine-advocates-coopting-opioid-crisis-promote-medicaid-funding-acupuncture as they have stated I perfer my placebos not to involve needles! But the drugs on the streets from China is real fentanyl! I am shocked that the government is forcing the pain patients to turn to the ancient Chinese medicine of black market opiods! I am almost 70 years old. I have been an RN since 1967. In 1982 I had a failed epidural with a c-section. I was stuck seven times but it never worked. In 1992 I had to get HepB vaccines or I would lose my job. Several of us became deathly ill. The doctor said that I had chronic fatigue syndrome and was ill for several years. The next year a 300 pound patient who had had open heart surgery fainted and fell. I tried to catch him and prevented his hitting the floor but I ended up rupturing disks in my lower back. I finally had to stop working clinically. By 1996, the pain in my back was almost unending. I had many tests, seven epidural steroid injections. It only got worse and became shooting pains down my legs. I was told that surgery could not be done. My balance became bad and I walked with a cane. I took Tylenol amd Motrin for years. In 2000 I was started on Vicodin which helped greatly. But passage of time had me developing severe osteoarthritis. I went to my present doctor in 2002. She started my on long acting oxycodone and immediate release oxycodone for break through pain. It was titrated up to 40 mg twice a day with 10 mg q4h for break through pain. In 2005, I applied for and received SSDI. I was on a stable dose of pain medication and was able to travel with my husband, play with my grandkinds and had a good quality of life. I was on the same dosage for 16 years. Then beginning of 2016 I was told I had to taper off of my pain meds. Now I am on 60mg of oxycodone (90mme morphine) per day. I cannot supplement with Tylenol because of elevated enzym s and Motrin put me into acute renal failure. My life changed dramatically. It is hard for me to take like ng trips. I cannot keep house like I want to. The new paradigm says that Motrin by itself than opiates. People have been using opium for 5000 years. I have never overdosed, been high or used my pain meds in the wrong way. They have never been diverted. Thank you for listening. No one else is. I am 58 yrs. Old I had to have back surgeries to satisfy the gov. That I was not able to work. Well after these people got through with me I was and always will be in worst pain imaginable, now Dr’s telling me they cant prescribe me enough pain medicine to actually give me any relief. I have suffered enough already. I heard that if you were in chronic pain and not curable I could be put to sleep in OREGON ! NOW I READ THIS AND CAN ONLY IMAGINE WHAT THE GOVERMENT WILL DO NEXT? BET IF TRUMP HAD SURGERY AND SCREWED HIS BODY UP WITH THE TESTICULAR PAIN HE WOULD BE ON PERKS AND I KNOW IT! WHAT IS THE REASON THEY WANT ME TO SUFFER? I think that the CDC, Congress, and all government officials can look at this from a different point of view, think outside the box. Make the punishments higher for the ones misusing it, selling it, etc. But dont make us suffer any more. It’s a very scary thing to have your quality of life threatened. I fear for my kids and my life..do they even think of how suicidal some people get from unbearable pain. This will decrease mental health problems. I know when I’m in majorly sever pain, I cant think of feeling the way I do another second. Imagine going weeks, months with sever pain.. no thank you!! This is just cruel… You think public institutions would be on our side, but it’s clear that they are doing the most damage towards innocent chronic pain patients, especially as they are under influence of the politicians screwing chronic pain patients because either they or someone they knew were addicts, or that they’re simply blinded by the hype from the hysterical anti opioid fanatics. I am writing today to express my alarm after learning of the proposal to diminish and eventually cut patients off from access to opioid pain medications. The logical rationale behind this misguided, radical and inhumane proposition is completely lacking. The facts are the facts. Prescriptions for opioids in Oregon are down. Overdose deaths that involve illegal substances such a heroin and fentanyl are up. The illegal drug trade has been flourishing since the CDC enacted their restrictive guidelines on opiates and it’s obvious economy 101 in action. Supply and demand. Additionally, the vast majority of people who have overdosed never had legitimate prescriptions for opioid-based medications, yet this proposal would harm patients who work in concert with their physicians to achieve some quality of life. Altering a medical plan of treatment should be a decision made in concert with a patient and their treating physician. It begs the question how a state such as Oregon that supports death with dignity and has legalized marijuana could think it is acceptable to treat people who suffer tremendous pain in such a barbaric way. Such sweeping legislation is frightening and will surely lead to increased rates of suicide, as well as an uptick in deaths from illegal street drugs. I suffer from a painful kidney condition and have been on a steady dose of oxycodone for nearly 10 years. Without it, I would spend the majority of time in bed. I would not be able to care for my children, my elderly mother, or be a productive, functioning member of society. If this proposal goes into effect, I’ll be forced to apply for disability, which will surely cost the state vastly more than my monthly prescription does. 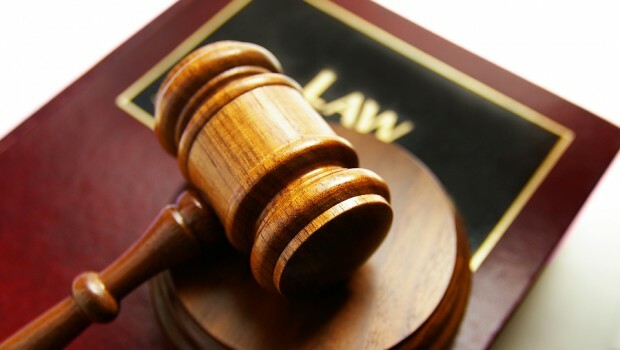 The lengthy court battles the state will become enmeshed in will be even more financially punitive. Exercise some common sense and compassion and take this proposal off the table. I use to be able to function and was a benefit to society. Now with the tapering I am in constant excruciating pain that is unrelenting. I have made plans to end my life surrounded by friends, bc of the war on chronic pain patients. But that is why Oregon is doing this…so we will kill ourselves. Living in the level of pain I am in is not possible. AND…the uneducated people who suggest that nsaids and antidepressants are not physically harmful are extremely uneducated. Nsaids cause severe internal bleeding, Tylenol causes liver damage and has a low toxicity level, antidepressants eventually cause dependence, increased depression, and tremors, and therapy is, well, a laughable and expensive joke. (I’m a retired biochemist) The poison is in the dose…not in the thing itself. Hi! My name’s Lauri and I was born with scoliosis I worked hard and had a family then it started bothering me. I now have spondylosis,failed neck surgery, and after a cervical steriod injection I got much worse. I have tried all the alternative therapies I could find only pain medication has helped. Massage was good but before home I would be back in severe pain. I do use tons of ice and stretches and my meds. I had them abrurptly taken when my doctor was raided I ended up in hospital for days with chest pains and adnormal heart beat not to mention severe withdrawal. I think that taking our meds from us is like taking insulin from diabetics. Cruel and inhumane! You will have people on the street getting who know what with no way to know how to dose and no one to watch them like our doctors watch us. The others will wither away or just kill theirselves leaving a gapping whole in in their loved ones lives. Please do not punish us anymore! We already by no fault of our own got stuck with  bodies. That is exactly what I wrote to those that hold all our lives in their votes. Hoping and praying this works. I would have never dreamed this would be happening. I feel this started around 2001 and just keeps getting worse. Hang in there warriors! Sending love to ALL. I was born with a rare genetic tissue disorder called Ehlers Danlos Syndrome. The type of EDS I have is found in 1 out of 100,000. Research on EDS has been non existent. Doctors and clinics refuse me because they don’t know how to treat me, there’s no cure and say that pain management is my only option. Due to my condition I experience subluxations and dislocations literally through out my entire body. I have dislocated my collar bone from simply reaching for something in the back seat of my car. My body is literally coming apart. As of this month Ive been informed that I have to wear a walking boot on each foot, 24/7, the rest of my life. I am doing all that I can to avoid ending up in a wheel chair. People who know me and the many doctors I have to see cannot comprehend what I go through daily. In addition to the dislocations/subluxing, EDS comes with a long list of co morbilities, everything in the body is affected including organs, muscles, tendons, bones, and immune system. I cannot begin to explain how sick I am and how miserably painful my life is. I endlessly search, beg and plead for relief, help and answers. Ive done chiropractic, acupuncture, years of PT, pool therapy, pain psychiatry, counseling, yoga, Feldenkrais therapy, and tons of procedures. I don’t have enough alotted word count to list all that I’ve been through. I am supposed to avoid activity that is weight bearing and am told to even limit walking. This life is ridiculous to say the least. I go to PT, doctor apts and therapy 2-4 a week just to survive. I have had a needle stuck in every body part, excluding my eye balls. Four years ago I admitted defeat and entered into a pain contract to help combat chronic and acute pain. Meds make life more tolerable for me for sure. People take simplest things in life for granted, like grocery shopping and cleaning your home. Due to moving to another state, I was under medicated for a period of time. Desperate, I allowed a doctor to give me 40 cortisone shots in a 45 day period, as a result, I was overdosed on cortisone. Within 48 hours from the last administered shots, my face and body blew up 5 times their size. It was excruciating and I was bed ridden for months. I had heart palpitations 24/7 for 7 months, the damage the steroids have done is irreversible. The swelling has gone down but I’m still not back to my normal and I’m worse than I was before. This is what happens to people who truly suffer with pain and are desperate for relief. Just like the children being separated from their parents created chaos and irreversible damage, this type of reform will cause severe pain and suffering to a portion of population that already has suffered enough. Would they take away insulin from a diabetic or blood pressure medication from people suffering from numerous cardio/vascular diseases? What’s happening in this country today is unbelievable! 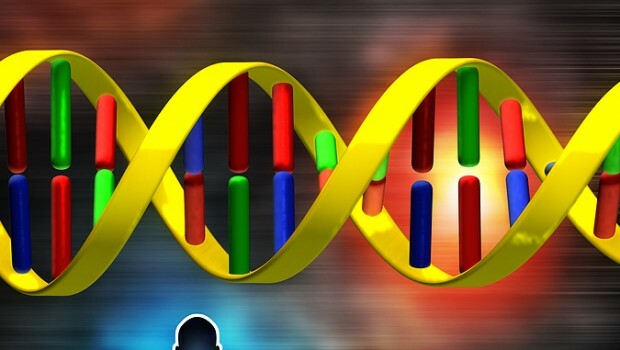 I had 15 surgeries in my life due to bad genes and unforeseen injuries. So, why would the government take away one of the few modalities left, that helps me. Why would anyone take it away. I came home from Detox 2 weeks ago. I checked my self in voluntarily because of all the hype, I started doubting my own body and mind. I decided to find out by going to a place that offered exactly the same natural resources that the State is recommending. It’s a 5-7 day program where they technically detoxed me. procedures, in addition to pain medication to help patients lower dosages but it is absolutely impossible in my case to live with just the “natural” pain relief”. I went to detox specifically for that reason and the Doctor who is treating thousands of patients addicts told me, that I represent that percentage of population that benefits from narcotic medications and without them I will continue bouncing off the walls from pain and will suffer one of the two. End up in a psych unit or result in seeking out other means of pain control that will always be available on the streets! Hell no will the government put me in that position! That is cruel and inhumane for people with serious long term chronic pain! The Since my car accident My quality of life has been significantly reduced. At 26, I am forced to the realization that I may never have children and I will never work. I someone who has spent months in bed In physical agony along with uncurable nerve pain, I can attest to the fact that the only reason that I can get through my day and get out of bed at all is because I take Tramadol for pain management. I strive to take the lowest dose possible and I have done physical therapy 3 times just this year. I cannot stomach or tolerate the use of NSAIDS, taking them triggers my IBS and gastric issues and the results are debilitating. As someone who has had psychiatric care well before having a chronic pain, I feel that it is pertinent to state that seeing a therapist makes little to no difference for my pain. My having 3 herniated disks in my spine and nerve damage with hip, knee and ankle degeneration, is not mental illness. The problem is not the pills it is the people who bring elicit substances into America. The problem does not start with pain patient’s, it starts with the many people who are running our streets, selling illicit substances. We are not drug addicts! 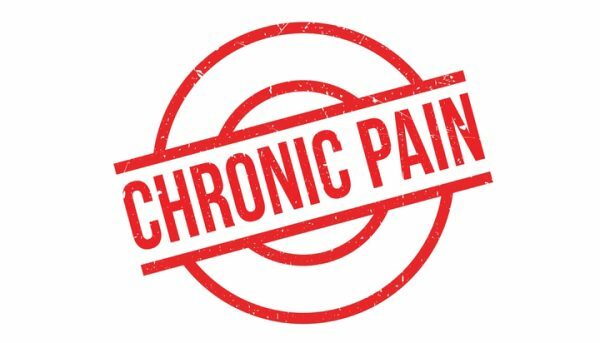 We chronic pain patients suffer brutal pain from day today and I do not believe that our quality of life should be in the hands of people who do not know what it’s like to suffer every day with chronic pain. If it weren’t for the little bit of relief that I receive from my medication, I do not think that I would be in the condition to even take care of myself. Unless the U.S. government is willing to pay for home care aid’s for every patient that can no longer take care of themselves due to excruciating circumstances, I beg you to rethink the choices that you are making and consider what it is doing to us. Taking away opiate medication from those who need it is cruel and inhumane. My name is Britni Miller and I live with chronic pain. I was diagnosed with scoliosis in 1996. I am now diagnosed with degenerative disc disease due to my scoliosis. I have participated in physical therapy, acupuncture, and steroid injections, and now Prednisone for 5 days, as alternative means for pain therapy. These alternative methods do not work. PT makes my pain flare after a few days. Acupuncture made my pain so bad I could not walk for a week, and the acupuncturist recommended I was discharged. Steroid injection made my pain so bad I could not walk for a week, then my physiatrist recommended I do not get another injection because of the poor results. I took hydrocodone 5 mg- Acetaminophen 325 mg once per day from 2000-2006. Since then I have taken between Tramadol 50-200 mg per day. 2006-present. I also take hydrocodone 5 mg- Acetaminophen 325 mg once every 1-2 weeks since June 2017, when my pain in my shoulders started to worsen. My pain sits consistently at a 4, making it hard to complete daily activities. Today I am struggling with laundry. I do not sleep through a night. About once per week, I have pain flares that go up to about a level 9, where I cannot walk, sometimes use a cane, need help getting dressed, cooking, using the bathroom, etc. I am being refused prescriptions for hydrocodone 5 mg- Acetaminophen 325 mg. I am now in fear of the threat of taking away Tramadol as well. I have been unable to work since December 2017 because of pain and diminished mental health due to my quality of life. I have been a child welfare social worker for a decade, and responsibly use my medications. I depend on my family very much to help me financially, and I know it is a burden. If I had the regular prescription of hydrocodone 5 mg- Acetaminophen 325 mg I think I could work full time without as many issues. I am also now forced to go through the disability process because my chronic pain has diminished my quality of life so much, and is now keeping me from stable employment. Please help me to be able to be a productive member of society for Oregon. Please help my doctors understand this as well. Im sending my email in now and I suggest all of u who posted here to go email the above provided email address. Who knows if those killers will come read comments this page. I am writing im regards to the opioid proposal. 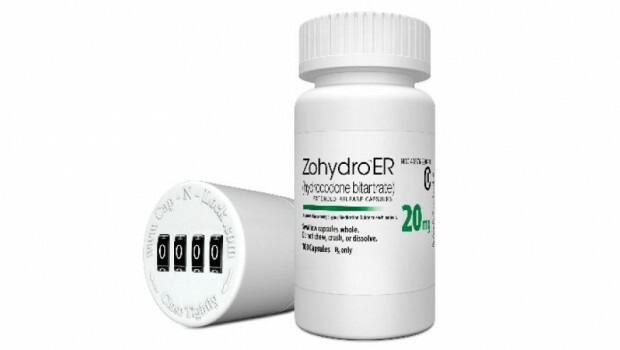 I am on long term opioids for chronic pain, and have been with no problems for a bottle years. I have been diagnosed with the following conditions: rheumatoid arthritis diagnosed in 2015, degenerative disc disease with nerve impingement and radiculopathy diagnosed in 2014, fibromyalgia diagnosed in 2012, and chronic migraines diagnosed in 2010. Without my opioid therapy I am unable to do anything for my family; grocery shopping, making meals, laundry, errands, and any amount of driving my kids to school events or doctor’s appointments. This is important as I have a child with a primary immune disorder so I need to be able to care for her. With opioids I can do the things necessary to take care of my family. Before starting on opioids I tried physical therapy, manipulation, muscle relaxers, NSAIDS, yoga, dieting, and meditation. None of these provided me with adequate pain control that I was able to perform daily tasks without severe debilitating pain. The policy changes being proposed would cause me to become bedridden. I would be unable to live my day to day life, take care of myself, my family, and household. This would greatly affect my children as they would be forced to take on the roles of having to act as adults, and I would be forced to find someone else to act as caregiver for my chronically ill child. This is an absolutely unacceptable policy and cannot be allowed to go through. The amount of pain and the amount of stress this would put on people such as myself is simply unthinkable. I have been on my meds now for 10 years and without them I would do nothing. I had radiation and chemo which in turn gave me fibromyalgia. My hips back are so bad so if the state wants to pay for me to have home care rather then my meds so be it. We should not be punished because of those who abuse it. I do not abuse my medicine and I can live, so you want to take what life I do have away. That’s just cruel. I hope you all someday need some pain relief and you can’t get help. It’s easy to say because you do not have the pain us elderly have. You will not solve the problem you will make it worse. Leave us elderly out of your so called plan. Those meds were made for a reason. You are not God so stop playing God. Our government needs to walk in our shoes and live with our insurance and see what life is REALLY like!!! They don’t live in the same world! Prohibition didn’t work with alcohol so what makes them think making the elderly, poor and disabled suffer more than they already do is inhumane!!! I’m so sick and tired of politicians lining their pockets while real people are suffering. Why should I suffer more than I already do?? I am a responsible chronic pain patient. I have a tool box of treatments aqua therapy, exercise, essential oils, tens unit, Epsom salt, diet changed, but most days all the above doesn’t help and I need other options but most isn’t covered by insurance!! I do ketamine infusions in addition to above, injections into hips etc but I also responsibly use prescription pain medication and muscle relaxers for 2 pages of conditions. One treatment doesn’t fit all! One dose doesn’t fit all!! We need options to continue to live life. Oregon government you should be ashamed!! What disgusting is that most of these legislative persons feel like they are safe they have insurance and don’t suffer pain and if they or their loved ones do they can just go private. That’s what wrong with our government system. It’s no long a government “for the people by the people”. It’s a government of Bureaucrats looking down on We The People. They hear us, they choose not to listen for what reason I don’t understand. Is it all about the money? It must be. Why else would people choose to keep life changing medication from people who are suffering. I have been in the fight for almost a year now and I am growing weary. I have taken it to my Capital with a protest but so many suffering are to sick to attend. I have written letter to my representatives. I have commented on the federal register regarding federal government action like the FDA meeting and others till my fingers hurt. My nightmare began 22 years ago on 8/26/96 when a doctor who caused my CRPS in a heal spur surgery. I spent the next 8 years trying every Interventional Pain treatment known to man. I spent all of my 401K and probably close to 500,000 trying these different process and procedures. I am now bankrupt and about 2 weeks from losing my home. I have spent 22 years suffering CRPS, Rheumatoid Arthritis, Degenerative Disk Disease with Spinal Stenosis( both cervical and lumbar), Sjogrens, Reynards, Gastroparesis, Diabetes and Fibromyalgia. I have done spinal injections (so many I have no idea), sea snail venom, cryo procedure on my nerves, Ketamine infusions, 2 spinal cord Stimulators, a Peripheral Stimulator, a Pain Pump (which almost killed me and had to be taken out), Nerve Ablations, Nerve Dissection, Aqua Therapy, Regular Therapy, more medication than I can mention and I just want to be left alone with my pain medication which doesn’t get RID of my pain but helps me to manage it. For over 20 years I have been on pain medication. I am not overdosing. I am not killing people while driving (unlike alcohol which is legal and cheap). I’m just a homemaker who wants to see her kids and grandkids grow up. Will I be there for that, who knows if the bureaucrats have their way maybe not! I pray God will untangle this web of deceit caused by man himself. I would like to understand ‘WHY’? Why would they want to deliberately leave CCP’s in agony, unable to cope with daily life. We are not drug addicts seeking a high. In fact, the body absorbs pain medication as it treats the pain. Nothing else. There is never a high. I know patients with Adhesive Arachnoiditis whose pain is so bad they are bed bound and cannot get out. How much worse do they have to be as without opioids, their pain will be much worse. This is a neurological disease which is listed as rare but in reality millions have it now. What would help us off opioids is for more education on this spinal chord disease and some appropriate treatment. Please think about this instead. I moved to Oregon from Fl. I am on Medicare and I pay for extra private insurance. I have been treated for pain and related issues for fibromyalgia and a shoulder injury that keeps me in constant pain for 30 years. Same pain, same medication. When I got a primary care doctor in Oregon, he told me he did not treat pain issues. I tried to explain I was only asking for the klonopin so I could at least sleep at night without the pain. It also helps relieve the tinnitus and elevated symptoms of Menieres. He refused to give it to me or even taper me off of it. Some days I think I am going crazy from the ringing in my ears. I was sent to a pain/ sleep clinic where they proceeded to tell me I only had to have my bedroom dark, no t.v. etc. and think calming thoughts. To me that is like saying I do not have these two health issues. Things that were said to me made me feel like a drug addict. I understand not giving these medications to people who abuse them. I go to the same doctors and the same pharmacy. It is easy to track my usage. I have no way to explain how much anxiety this has all cost me. I was able to have a job and function on my own. That is not the case now. I have spoken to at least four doctors trying to explain the problem. I am just sent to another specialist. The last one to try and prove I do not have Menieres. This all seems so very hopeless. I am in constant pain. I would not even try to get back on any type of pain meds. I just want to sleep and be able to get up in the morning and go to work. I am a 50 yr old married mom of 3 who lives in Portland Maine. In 2001 my life was forever changed due to a botched back surgery I really didn’t need. I tried every other option available to me except for further surgery which wasn’t recommended. I was finally put on morphine ER and oxycodone for breakthrough pain. The difference was night and day. I was able to be active with my kids and volunteer in their schools and take them to their various sports. In 2016 my doctor did a forced taper for 9 months, my life became hell. I was on the couch/heat pad. Bored. Life just stopped. No reading or crosswords. The pain was too much to concentrate. Oddly I had no withdrawal, but I only took as needed. But the pain was unbearable. If not for my family suicide would have been the obvious choice. I wouldn’t know where to get street drugs. I fought at the state level and won an exemption so I currently have my life back. Others aren’t as lucky. Please let the doctors do their jobs. This is deplorable how we are all being treated. Especially when we did nothing wrong. All you will do is cause more people to go to the streets or suicide. My original injury was caused by throwing a baseball with my son. You too are just a moment away from what we live every day. Wouldn’t you want to be treated properly and with dignity? This is just plain cruel for any state or government to make chronic pain patients suffer. If we were dogs or cats our living owners would have us put down so we wouldn’t have to suffer. Are we not better than animals? I have been recently removed from opiates and my life is a living nightmare. I haven’t left my bedroom or gotten dressed for well over a week and haven’t had the energy to take a shower in who knows low long. Right now I hate life because of the agony. In Nazi Germany, we would have been shot because we were unproductive, but here in the US they expect us to take care of the dead ourselves. I am a chronic pain patient with fibromyalgia, migraines, lipedema, corneal erosion syndrome, and various other medical conditions. I am writing to express my horror at the proposal to forcibly taper all chronic pain patients on Medicaid in Oregon off opioids. Daily extended release tramadol, and Tylenol 3 as needed, are essential parts of my pain management regimen, as is very occasional morphine for my migraines and corneal erosion syndrome. I do not experience, and have never experienced, any euphoria or ‘high’ from these medications. While I also take other, non-opioid medications to control my pain, they are not enough on their own. I am unable to do aquatherapy or mindfulness, due to the fatigue caused by my fibromyalgia and the distractibility caused by my severe ADHD. I have had many years of psychotherapy with no effect on my pain. I currently deal with post-traumatic stress disorder from being refused opioid pain medication for an agonizingly painful corneal abrasion. Because I was refused pain medication that one time, every time I get a corneal erosion (which mimics corneal abrasions in symptoms and can occur at any time), I experience terror and flashbacks to that first corneal abrasion. This is one of the reasons I am currently getting psychotherapy, but the psychotherapy does not help my pain, because pain is physical and psychotherapy is psychological. There are people who deal with the same severity of pain that I get during a corneal abrasion or erosion, every minute of every hour of every day. Depriving these people of opioids is essentially torture. It is cruel and unusual punishment of disabled people for conditions that are outside their control. While non-opioid therapies can be very useful, they cannot adequately manage most cases of chronic pain, including fibromyalgia, on their own. I wrote to the state office as requested. It feels good to take action. I am in Florida and we have an Attorney General who doesn’t believe there’s a need for anyone to take opioids and i’m afraid that the new laws florida enacted regarding opiods will eventually morph into what’s going on in Oregon. As it is, I’ve had my dosage reduced already and the law just went into effect 7/1. I’ve had 3 pharmacies refuse to fill my ativan prescription because I”m on opioid pain killers . I feel like I”m living in Gilead! Under his eye LOL..for all you Handmaiden fans….hey, you gotta laugh or this  will kill ya! Be well, fellow travelers in pain. I propose that we the people in chronic pain. March on our capital. I also propose a contact list be made for contacting our media and our government representatives. We the need to overwhelm the contacts with letters and emails of our plight. We need to speak as one voice and propose solutions and correct statistics. Anyone have the contacts or the vehicle to start this in motion? We need to speak loudly with one voice! I will help or push it until someone with better skills and is better connected is willing to carry this torch. I see a big rise in Deaths in Oregon over the next year and hitting Medicaid first most people on Medicaid are disabled by one of the Chronic Pain Diagnosis that states cares more about be their name than peoples lives. That State should be ashamed of them selves. I’ve been on pain medication daily for about 10+ years. I have several diagnoses, one of them being Fibro. My Pain Management Dr. is very angry with the way the govt. is trying to take over HIS field of expertise. He’s done this for several decades and knows his patients, and can spot a “drug seeker” a mile away. I don’t live in Oregon, but it’s still my fight. We’re all in this thing together, and it could easily be any of us. What REALLY burns me up is that the majority of OD’s are NOT our prescribed pain medicine but ILLEGAL drugs, fentanyl and meth coming from the southern border. Democrats want open borders and to abolish ICE, but then they want to take away the only thing that makes millions of people able to get out of bed on many mornings. I wish tremendous pain on ALL of the idiots that think this is a good idea. I wish Fibro on every single one of them. I hope they get arthritis throughout their entire bodies. This will certainly make the suicide rates go way up. When you’re in pain, every minute you’re awake and your pain medicine just barely takes the edge off because the Feds are “watching you”, you’ll see your quality of life diminished so severely that you can’t handle it. These idiots have death wishes for all of us that struggle to get through the days. Can you live with yourself, knowing that YOU are responsible for the agony of your fellow man?? It’s barbaric and surreal what the government is doing! Everyone needs to gather together against this hysteria! It’s easier to get street drugs than your prescription. Alcohol kills millions along with all the other drugs. It’s beginning to feel like a communist country. Doctors can’t practice medicine anymore or make decisions about medication a patient needs. The government and legislators know more than your doctor? What exactly is happening? Stand up and fight for your rights our rights to live some quality of life our right to live with pain control. Most if not all chronic pain patients have been through the “alternative dance”, in which our medical providers insist we try often useless treatments like aqua-therapy, accupuncture, mindfulness, and enough NSAIDS and acetaminophen to destroy our kidneys, rot our stomach linings and send us into liver failure (which, by their way of thinking, is “preferable” to addiction). These healthy, pain-free fools are sending us straight to one of two options: illegal drugs or the Drs. Smith and Wesson Pain Clinic, where an end to our physical suffering is guaranteed. Yes, every year more people ARE dying due to overdose-related causes. The overdoses are caused by illegal fentanyl and contaminated heroin, NOT our own prescription opioids! I doubt if the government is trying to kill us; rather, the rules are being made by people with too much power and insufficient information. They love their easy answers, and taking everyone’s opiates away is an easy answer to addiction. Sadly, it’s the wrong answer — not that being wrong has ever stopped anyone in government from passing misguided laws. What this new law will do is torture and kill innocent people. Illegal drugs will continue to pour into America and laws restricting legal opioids will ensure that drug dealers and pushers have a steady stream of sick and suffering customers desperate for relief from pain. Why is this so difficult to explain to people who should be able to comprehend the very basic law of supply and demand? By inacting such laws you will only be adding to the deaths by innocent pain management Patients either by suicide or by seeking relief by going to the street. They then would be joining the real problem which we all know to be FENTANYL most likely laced in heroin. Myself I have been hospitalized some 22 times in a 24 month period. Once I received a consultation with a board certified anesthesiologist and prescribed a pain management regimen, I have been at a much higher production level and far superior quality of life. With no hospitalizations for the past 23 year’s, if that’s taken away because of the government interfering with my medical treatment which should be between me and my highly qualified physicians I would become bedbound and most likely take my own life. Please find a way to make exceptions for legitimate Cronic Pain Patients and qualified Pain Management Physicians. I could never imagine this happening in The United States of America. This will go down in history as one of the most backwards legislation ever thought of. This is totally inhumane! I am a 51 year old man with spinal stenosis,and osteoarthritis, I like so many others have been taken off of my pain medicine. I have no quality of life anymore I sit around in pain all day. I can’t get relief from over the counter pain medicine. This goes against everything doctors are sopost to do. What ever happen to Do Not Harm! people. Opioids have successfully treated millions of pain patients for many years. Our government is allowing this to go too far. I suffer from fibromyalgia as well as having 2 herniated disks when I was 16 and only one was fixed. I have tried everything and get no relief. I used morphine for years many times a day to keep working, my day would consist of working, making dinner and going to bed. I finally quit working and was able to get the morphine down to about 10 per month as I would only take them for a flare up or when I over did it. I was told 5 years ago here is your last prescription wean yourself off which wasn’t hard to do as I was not addicted I just used for occasional uncontrolable pain to be able to have some function for the day. I now have exhausted all of my options again with a new pain doctor (all are just refusing opioids). I am allergic to many and morphine is all I can take and even went to an allergist to be able to do that, so I am very in control and my medicine should be mine and my doctors choice not the government. I have private insurance but even if I had no insurance I would pay for this on my own but the fact is I cannot get it at all. I should not have to spend days in bed when I am in a flare when a couple of pills could make it where I could function. If people are getting addicted that should be up to the doctor to figure out and maybe limit the amount people can get because at least for me they never get rid of the pain but just lessen it. Just over ten years ago I had surgery (left orchiectomy) because I was having shooting pains through my groin and down my leg.. Unfortunately the post surgical so-called ‘phantom pain’ was actually worse than the pain that I had been enduring before the surgery. Not constant, but unpleasantly regular with what felt like electric shocks running down from my groin through my thigh and calf literally every 38 seconds sometimes for as long as 5-10 minutes. As one can imagine, it’s kind of hard to do very much work much less exercise, hike, etc. when you have an electric shock running down your leg every 38 seconds!. Following visits to chiropractors, physical therapy, and two MRIs to try to ascertain what was causing the ongoing pain, the doctor who had performed the surgery explained to me what ‘phantom pain’ was and prescribed vicodin for me. To my delight, it works very well, reducing the pain dramatically, and I have been using the exact same level of medication for ten years now. I control my use because I’m aware of the problem of using more and more until one needs an unacceptable level of medication to bring the pain to a manageable level. If I were to have the pain medication completely cut off, I’m not sure what I would/could do – but the thought makes me afraid that living with that level of pain might simply be not worth living. Please, please understand that all people aren’t abusers, and that for far too many older people (I’m 68) pain becomes more and more an unfortunate fact of life. By over-reacting to the abuses of a relatively few, regulators and regulatory agencies are threatening to inflict terrible and unenduring pain on far too many American. Please don’t go down that awful road! I am a 70 year old who was diagnosed with fibromyalgia in 1990 I suffered because no one knew what it was or believed when we move to South Dakota I was taking oxycodone 10 in the morning the afternoon and at night .. In 2014 something happened to my spine they found out through an MRI was broke I have severe allergies so they can do nothing I have two torn rotary cuff tears right shoulder and left shoulder because of my allergies I can’t have surgery I have a Tarlac cyst in the middle of my spine I live with severe pain day and night one day .my pain doctor told me I had no pain after treating me for 3 years and seeing me only three times her PAC husband saw me once a month she recanted and gave me two pills a day which put me into severe withdrawal ended up in McKennan Hospital with blood pressure off the chart 3 hours from our hometown the psychiatrist has me on buprenorphine which makes me throw up everytime I take it causes confusion and insomnia takes away 30% of the pain their ideas to send me to treatment even though I’ve had no oxycodone since February I have no quality of life I live in pain and in bed as a retired nurse I feel the people that have taken this for more than 5 years should be allowed to stay on it because they have no other options to help them with the pain I’ve tried every pain pill I’m allergic to them all .my quality of life is almost zero my husband whose 70 and I cannot travel cannot go to the next town which is Aberdeen 25 miles to get massages or even to go to daily mass that I was doing and teaching religion to little kids please help the people who are in severe pain and not looking for drugs for us who truly suffer While others just went out and bought it to get high we have been treated badly and shamed because we’re in pain that we didn’t want …thank you very much for your consideration of this serious situation many of us live with live with. Perhaps we should shift our attention and intentions to federally legalizing medical suicide. Enough Cpps loudly demand that option along with why, and the Christian right will stand up to notice. Since suicide is considered a sin, it should get attention to the real problem of untreated pain. Dunno, but since screaming for pain meds is paradoxically causing more restrictions and denials, maybe screaming for death by doctor will cause pain to be central to this controversy instead of addiction. Here in Kentucky, the government has created not an opiod crises, but a Heroin pandemic, they don’t care for anybody suffering, they have zero empathy, only they get special privilege, not us, the GOP’s worse than any Nazi regime, my pain clinic told me this week to find another pain consultant after 6 years being with them, now I’ll have to suffer for another 6 months to find one, suicide may be an option! Has anyone not noticed that this article said the cut was only for Medicaid recipients. Your all . The state controls the health care, not the Feds. Only course of action is move. Go to Florida. This will never happen here. State don’t control the health part, just food. And there’s to many retirees here for them to do cuts like that. Leaving those affected in Chronic severe pain… Un-Treated Pain is NOT the answer to any of this. These Laws & Regulations regarding Forced Tapers & Daily MME Morphine Equivalency Dose Cutoffs that seemingly are being passed on an almost Daily basis at this point is Killing People. Those with Severe Pain caused By Disease Process or otherwise can often be unbearable to stand or tolerate 24/7. Offering Cognitive Beahavioral Therapy or Aquatic Excersise’s is Ridicoulous. Most who need round the clock opioid therapy have already tried many, many other treatments and therapies before being put on a opioid regimen. So what happens to those in pain when another A****** Politician decides they cannot have their medications anymore or another Insurance Co. Decides that they will no longer pay for these often expensive medications and not only pay but REQUIRES that Every single person insured is to be forcibly tapered off of their much needed medications?? ?These people are left with no other option but to face each & everyday in unbearable, untreated, unmanaged pain where their quality of life has been severly reduced or for many their quality of life is completely gone leaving them bedridden and feeling like a burden to their loved ones and society once their medications are ripped away they see no other options Do they go to the streets in search of some type of relief to the agony they have been left in or do they pick up that .357 Mag and end the pain & suffering that has been so cruely inflicted upon them??? These are the options EVERY SINGLE PAIN PATIENT LIVING IN AMERICA IS CURRENTLY FACING. The horrific Unspeakable & Cruel acts, laws & regulations being passed by Government officials, Politicians, Senators, & Insurace Companies is KILLING PEOPLE. Is this the goal here??? Let the weak off themselves? I am beginning to wonder anymore when these laws/Regulations are doing so much harm and causing so much suffering/death yet continue to be passed What is the goal anymore? Why are these people who have NO Medical Knowledge Or Medical Degrees…Who have Never treated a Patient, Who have No idea what those living with chronic pain face everyday, Who have Never seen the suffering or Challenges those with pain face. Why in God’s Name are These the People getting to Decide Their Fate??? Its time to wake up America. These Laws are Killing People everyday. Soon Suicide will Far surpass any damn overdoses. If it hasnt already. When does it get to the point we can take them all to court for abuse..on so many levels? They have violated their Hippocratic oath, they are neglecting, abusing and torturing chronic pain patients with these decisions and yet demanding these same neglected people pay insurance so they are enslaved to the abuser? Taking away the only effective treatment for chronic pain without a viable and effective alternative readily available is simply negligence on every level. In addition, the Nurse that wrote this is an illegal drug problem is exactly right. OPIOIDS as reported in every news story and report..are all lumped together. This is a gross misrepresentation of what is actually happening. Street drugs are the problem..not prescribed medications. 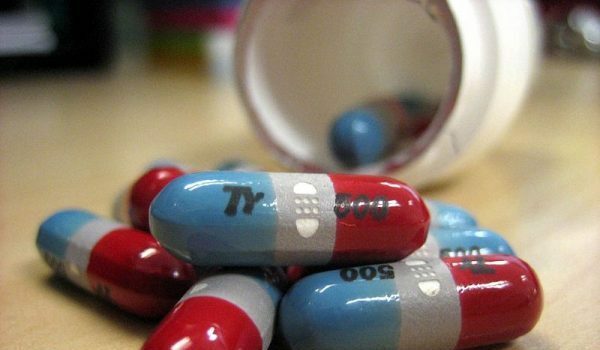 The drug cartels simply copied and mass-produced lethal version of some prescription drugs. And now every American gets afflicted with Government sanctioned Medical Discrimination…Oregonians apparently get a double dose…cause the liberal government in Oregon doesn’t need any real statistics to operate..just like their political actions. This is insane and will go down in history as the Dark Ages of Ameican Medicine. Hi there fellow warrior ‘s, Ok I’ll make this as concise as I can. I have suffered from Osteoarthritis, Scoliosis, Fibromyalgia ( from head to toe ) Chronic pain syndrome, Brittle Bone, SICCA ( Sjogren Syndrome ). I’ve had both hips replaced. Brittle Bone.I currently live FL. I am here on a mission, to care for my partners parent’s. One passed in January. The only thing I know for sure is that when the hammer comes all the way down, I will be left with no other choice but suicide. Over the past 15 years I have tried everything from Eastern to Western treatments. But to no avail nothing worked. I don’t even have the money to hit the street’s for drug’s. When you hit the street’s it’s like playing Russian roulette, but really who cares anymore? By the way do not think chronic pain patients are drug addicts.They are not! They are dependent on the medication but are not taking it to get high! There life is improved with use of the drug or drugs and not deteriorating like that of a true addict.They are able to work,raise their children and function on a daily basis because their suffering is minimized.They in fact can contribute to society instead of struggling through every day in misery! This just makes my blood boil! We are making innocent patients suffer that are just trying to have some quality to their life.Its almost impossible to function when you are dealing with chronic unrelenting pain.Its a visous cycle of pain fatique,depression,surgeries and treatments.The only relief many get is through the careful use of long acting narcotics often coupled with use of short acting ones for breakthrough pain.Most do not abuse their medications because they are so relieved not be suffering anymore and they faithfully obey all the rules.What a short sighted and ignorant policy this would be.It makes me so angry! I have been a practicing RN for 40 years and this is pure lunacy! I am a US NAVY DISABLED VETERAN SEEVICE CONNECTED and have had 2 left shoulder, 1 cervical fusion, and 1 left knee total replacement and 1 minipulation surgeries in past 14 months,,,,,, all i know is pain over past year and presently complications with knee as cannot flex knee with constant pain ,,,, miserable !!! Pain everywhere,,,,, also additionally in past righr shoulder, lumbar, and testical surgeries in which still have recirrent pain issues…….. Now i am so grateful for oxycodone 5mg w/ 325mg tylenol as could have not survived without it,,,,,and continue the requirement for the medication at least 2 pills a day,,,,,, but now am starting to get a attitude from medical personel about continued taking my pain meds with no alternative and i find this frustrating ,,,,,, i truly hate taking any meds but i must as am in so much pain !!! We can’t forget that there are people that need and should take pain meds as miniumally needed,,,,,,,, pain is evil !! I pray for relief !! !